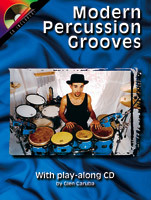 Glen Caruba's first book, Afro-Cuban Drumming, touched on basic Latin percussion styles. This follow-up teaches how to incorporate these traditional rhythms and techniques into modern pop and rock playing. Covers instrument playing tips (congas, bongo, timbale, cowbell, shakers and more), funk grooves, pop ballads, Afro-Cuban 6/8, jazz-fusion grooves, cha-cha pop, and lots more. The CD features 40 tracks of examples. 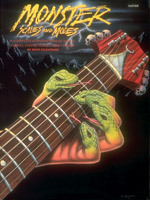 This book is a complete compilation of scales, modes, exotic scales, and theory. It covers the most common and exotic scales, theory on how they're constructed, and practical applications. No prior music theory knowledge is necessary, since every section is broken down and explained very clearly. This is the second book in a 3-part series of intabulations of music for the minstrel (Civil War-era) banjo. 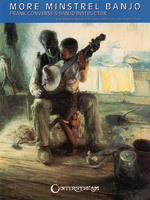 Adapted from Frank Converse's Banjo Instructor, Without a Master (published in New York in 1865), this book contains a choice collection of banjo solos, jigs, songs, reels, walk arounds, and more, progressively arranged and plainly explained, enabling players to become proficient banjoists. Thorough measure-by-measure explanations are provided for each of the songs, all of which are part of the traditional minstrel repertoire. This book/CD pack teaches guitarists how to effectively mute anything! 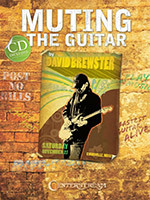 Author David Brewster covers three types of muting in detail: Frethand, Pickhand, and both hands. He provides 65 examples in the book, and 70 tracks on the accompanying CD. Get Muting today! 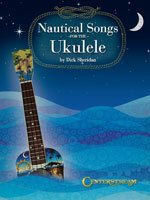 Climb aboard for an exciting musical cruise � unlatch your sea chest, break out the ukulele, and cast off with 62 songs of oceans, rivers, canals, lakes and bays. Songs include: Anchors Aweigh, Blow the Man Down, Cape Cod Girls, The Erie Canal, Goodbye My Lover, Haul Away Joe, Irish Rover, My Bonnie, Over the Waves, Sailor�s Hornpipe, Sloop John B., Mermaid Song, Michael, Row the Boat Ashore, Sailing, Sailing, and many more.